Indeed it is, and while not ever having met the insanely popular game’s creator Steve Howse personally, I’d expect he knows enough to not mess up the good thing he’s got going. 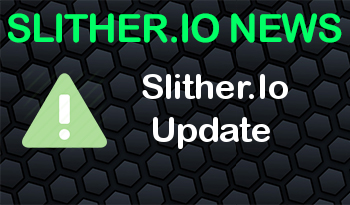 However, there’s also something to be said for making a mobile game accessible to the widest possible audience, which is what the latest update to slither.io has done. Next time you log in for a game, you’ll notice there’s a new option on the title screen. You can’t miss it, as it’s the button that says ‘Play Against A.I.’ and promises faster gameplay. 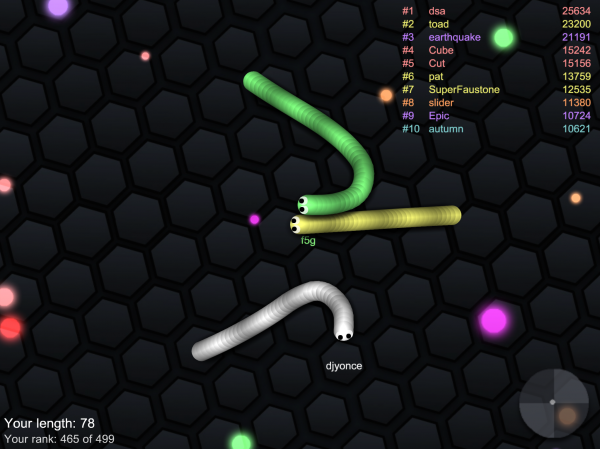 It is not, as I discovered to my dismay, an invitation to play against former NBA star Allen Iverson on a private server, but an opportunity to turn slither.io into a single-player affair where the other snakes are controlled by bots. This somewhat defeats the purpose of going for the bragging rights of having the longest snake around at the end of the day, but let’s face it, very few of us have earned that honor anyway. What this option definitely does is to open up the slither.io phenomenon to people who are too timid to jump into a PvP game of any kind without some practice first. That’s just good business, especially for a game as otherwise inviting to gamers of all types as this one. The A.I. doesn’t seem to be quite as clever as most humans, which is undoubtedly part of the point. There’s still a leaderboard even though you aren’t competing against other people directly, and the nicknames of the A.I. snakes appear to have been taken from other real world accounts, unless Howse decided to drop in a snake named ‘YOU’RE GONNA DIE’ just for giggles. 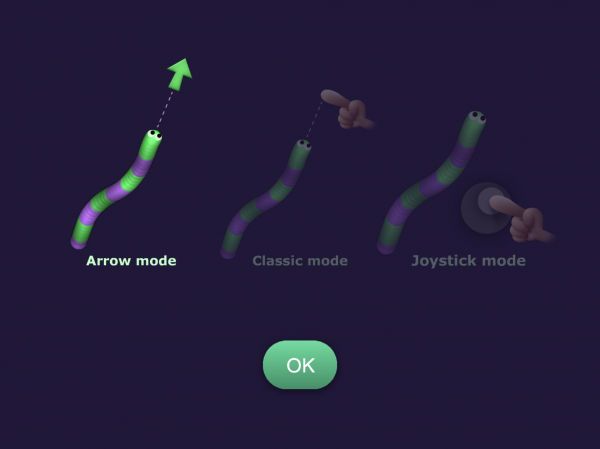 The other slither.io update to hit the iOS version gives players the option of choosing between three different control schemes: Arrow mode, which follows truth in naming by putting an arrow out in front of your snake to indicate its current heading; Classic mode, which you’ve been playing the whole time; and Joystick mode, which introduces the scourge of many a mobile game, the virtual thumbstick. Reaction to the new control schemes among the App Store reviewers has been mixed, to put it politely, but I actually found the Arrow mode to be my new favorite. Your mileage may vary. 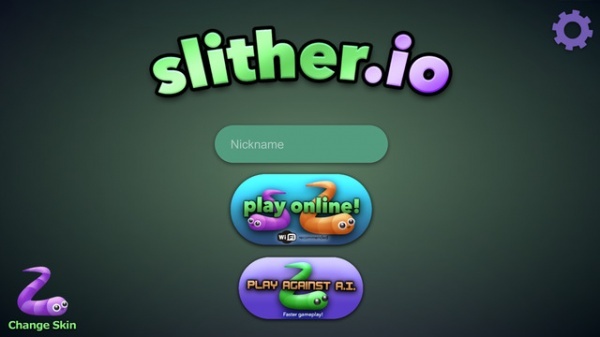 What features or gameplay additions would you like to see in the next slither.io update? Let us know in the comments section below!